Quick-Step has a doormat that fits neatly in your hallway. The brushing zones help prevent sand and dirt from coming into your home. 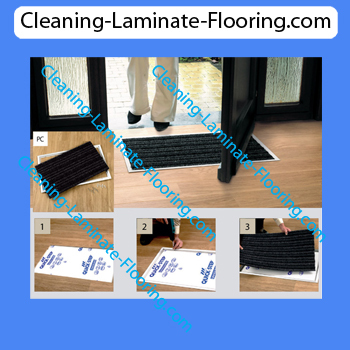 In addition, the mat helps to avoid wet footsteps in your hall. 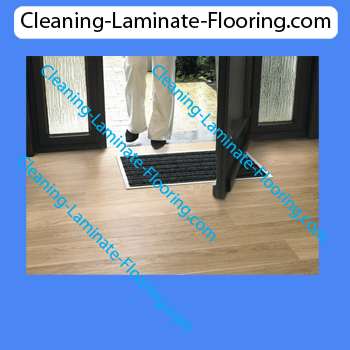 The doormat fits seamlessly in a strong aluminium frame that is countersunk into the laminate. Its easy to install and clean. A very elegant and practical solution. Optimum protection of your QuickStep, Wood & Laminate Flooring, with the QuickStep doormat at the entrance of your home, you can avoid unnecessary damage to you floor. The scraping zone of the mat loosens the dirt. Coarse dirt such as grit is already removed from shoes in this zone. The brushing zone removes all fine dirt (e.g. sand) which has been loosened in the scraping zone. The drying zone helps remove any moisture. Easy to fit - the prefab frame can be used with all QuickStep floors, in fact all laminate / wood or tiled floors, as long as the mat well cutout in the flooring / sub-floor is packed upto the hieght of the frame using plywood etc. to keep the mat at the correct finished height.